Smaller Project 2-2, Master Bedroom » Roger Perron Inc. 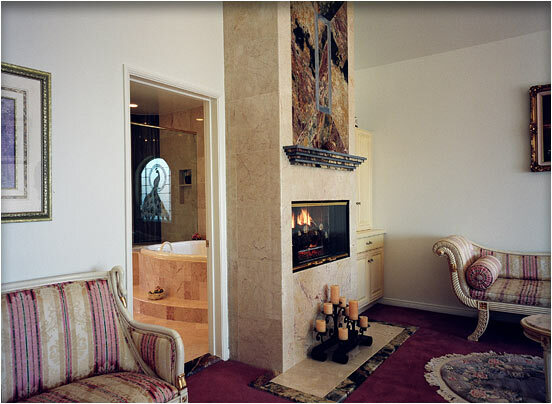 This is the view from the master bedroom, showing the other side of the fireplace and decorative marble design. Through the doorway you can see a peacock stained-glass window. The tub is deep with a whirlpool. Roger Perron, design-build contractor, designed the remodeling plan and details for this Glendale home.